How am I feeling in this moment? Why am I feeling this way? Where in my body do I feel it? When did the feeling start? What would better serve my goals and dreams at this moment? A mindfulness practice develops the ultimate conversation of our lives, the conversation with your soul, higher self, or God. 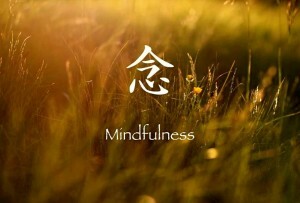 As a practice, mindfulness includes meditation but there are also many other types of practices. There is walking meditation, prayer, Transcendental meditation, journaling, reading, yoga, running, drawing, writing and so on. The goal is to find what works for you. A change in one’s state from busy and distracted to calm and grounded with the ability to focus. The development of the observer, the one who is watching and listening to the body and mind. The development of your intuition, learning to interpret the signs and symbols of your Soul. The practice of mindfulness allows us to take stock of our feelings, intellect, and intuition about a situation and act from a place of integrity and power. Come learn to live in the moment. Six weeks for $120.00.